"People want to plan, plan, plan, then they want to think, and then they want to worry, and then they want to analyze. You just have to do it." What’s your professional background? Where did you get started? I was a broadcast journalism major in college. I’m a diehard sports fan and I wanted to do sports broadcasting. The job offers I was getting though, were kind of garbage to be honest—I’m talking $19,000 a year type of stuff…At the time I had been hearing about all these young guys making a ton of money doing door-to-door sales, going out selling alarm systems and making six figures…I thought, well, “if they can do it, I can do it.” So I decided to pass on what many people thought were really cool job offers in the sports world, because I didn’t feel that stoked about it; I didn’t feel like the money was worth it; I’d have to move to some small town; and I’d probably be covering junior high volleyball. So I went in and did door-to-door sales. My first summer, I was fortunate enough to do really well and finish as a top 5 first year rep in the company…I didn’t get rich but as a young guy made $62,000 that summer and thought “Sweet, this is awesome.” So I went back and did it again and was making a hefty 6-figures a year every year after that for 4 years. So that was my first “job” after college, really—a job most people were doing in college at the time during their summers. It sounds like you were able to supplement that work with some other side-gigs and some general hustle? During the non-summer months, I still found myself busy. I got involved in the stock market just doing my own little day trading, and I got lucky during the recession…I bought a ton of bank stocks when they were like, nothing, and those have tripled in value since, so that has been pretty cool. I would also get involved in other things—I was always busy. Ya, actually. My brother Jared and I started throwing parties in Utah County. There are no real “clubs” down here, but we knew that people loved to dance and just socialize. But nobody drinks in Utah County—and a lot of the younger folks are under 21 anyway—so there are just no clubs. So we had the idea of throwing a themed dance party. We wanted to rent out a venue, hire a DJ and just give people an excuse to go and dance. I had this thought that if people were dressed up, they would act better and spend more money; so we called it, “The Back In Town Black Tie Dance Party”—super long name. The “Back In Town” part came because it was in January and people were coming back from Christmas break because it’s a college town—and it’s also January, it’s super cold and there’s just nothing to do. Long story short, we spent about $4,000 on this event and we made about $25,000 in that one night. So I’d do some of those during the non-summer months—when it was cold we’d throw 4 or 5 parties—then I’d go out and sell in the summers. Was that your first endeavor as an entrepreneur? Kind of. When I was a kid, I actually had my own carwash company. It was called, “Kids With A Dream Car Detailing.” We would go to people’s offices and detail their car while they were working. I would just detail it in the parking lot, or sometimes I’d have to take them to my house to wash, and then bring it back for the detailing. Would it be fair to say then, that your whole life, you’ve been comfortable with, if not exclusively happy just making your own way and defining your own professional context? Yes, 100%. Even in college when I was doing sports broadcasting, I wanted to have my own show. I pushed really hard to have my own sports talk show aired on local cable…and I got it. I wanted to do my own thing; I was the producer, I did the interviews, I got things lined up for everything on air. I’ve always wanted to control my own destiny. I also really like not having a ceiling on the potential for how much I can make…I also really value freedom of time and flexibility of time. 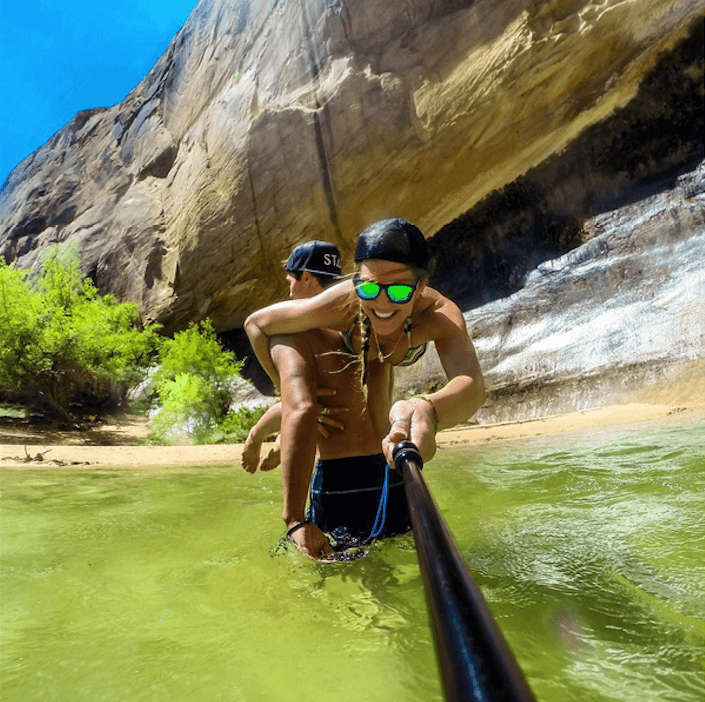 I worked at a bank as a teller a couple of times…and I was that guy who, if my boss didn’t let me take the weekend to go to Lake Powell—there was one instance where I literally told my boss, “Look I’m going on this trip, so, if that’s not ok with you, then I guess I just quit.” Luckily I was a good employee and my manager was cool, so she let me go on on the trip–but I was never the type who was going to let a $9/hour job keep me from living the life I wanted to live. As long as you’re self-motivated, it’s the best way to go. I don’t need anyone to hold my hand and tell me to work hard; I’m going to do that anyway. So I’d prefer to do it on my terms. So what is KZ and why should we all care about it? 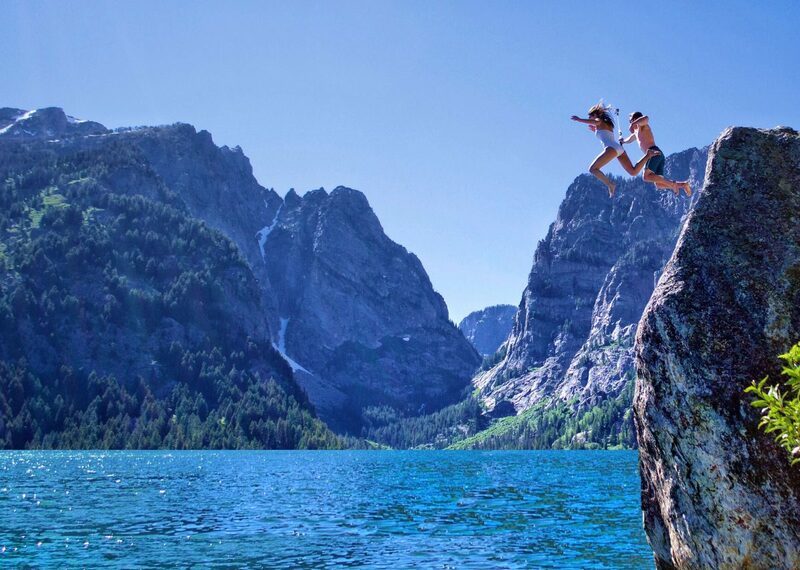 KZ is a lifestyle brand that focuses on the outdoor, adventurous consumer, and we sell sunglasses and beanies. Our biggest most popular line is our floatable pair of sunglasses. They have polarized lenses and they float in water. Anyone that has been boating, been to the lake, been to the beach has either lost or knows someone who has lost a pair of sunglasses to the water…we thought we should make a pair of sunglasses that float and that are affordable. 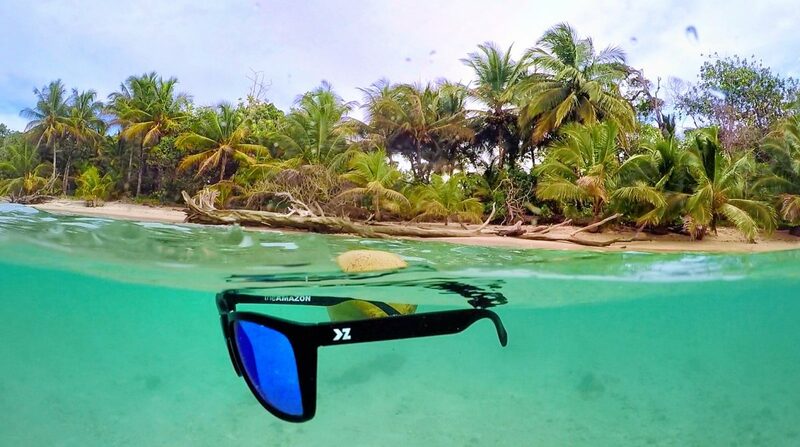 There are other pairs that float, but they’re either super-ugly with big foamy things on the side, or they cost around $200…now we’re only charging $49 for sunglasses that are polarized, that are good looking, and they float. In my opinion you can’t beat that. How did you find the time, money and people to get KZ off the ground? After doing a sales gig, my brother Justin and I were doing a little brainstorming session on what we could do to get out of door-to-door…and my brother one day was like, “Hey, what if we did American Idol online?” I was like, “That’s genius.” And we had money saved up from prior jobs, so we had our own cash saved up to start something. So we started a company called TopBlip…we ran that for a few years and it was eventually acquired and became Gigg…so we had money from sales to start TopBlip, and then the sale of TopBlip gave us more money to do the next thing. We had also learned that you could kind of hedge your bet if you’re the one risking all their time; if I was the one willing to risk all my time, then someone else could risk their money. Because I had launched and sold a successful company, I had some friends interested in investing in KZ. We didn’t need much; it was a product and we were going to start making money immediately—and if it didn’t, it wasn’t going to work. So we just needed enough to do a little marketing and get our initial batch out from the factory. So we only raised about $40,000, and were easily able to do that because of the recent success story. Where did you find the design talent for the actual look and design of the merchandise? At first we just took existing stuff that we knew was popular and ran from there. I had been to The US Open of Surfing a few times in Huntington Beach and there they had companies that were giving out sunglasses. I came home with a bunch of different pairs with the same frame shape, but different companies were giving them out with different side-arms; some were yellow, some purple, some green. So we just started coming up with different color combinations for side-arms, because we were going to make the side-arms interchangeable, which was a key idea my brother Justin had for the product. So honestly, we just took the very popular Wayfarer frame shape that Ray Ban invented years ago, made it our base frame shape, then from there, played around with some different color schemes, and did surveys with friends and about a hundred people trying to figure out their preferences. At one point we did have an in-house Creative Director, Saul Santos who was really good and integral in getting KZ to where it is today. He’s no longer with KZ, but as we’ve continued on, we’ve learned that we can run a bit leaner and if we do it properly it can be just as effective. We can interview people for a lot of the design inspiration, and my other brother Jared is really good at the creative and visual stuff. With the Beanies, it was the same; we did a bunch of different surveys and let the data map out our decisions. Then what is Adventure Hunt and how did it come about? Adventure Hunt first came about as purely a marketing event for KZ. 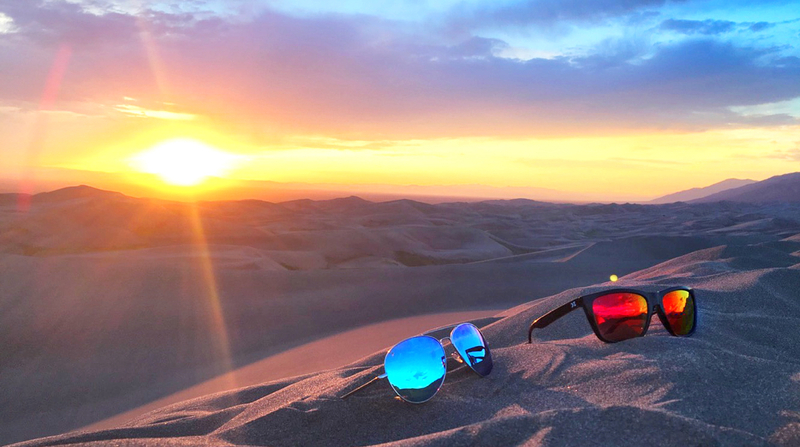 The goal was strictly to get people to buy our sunglasses—to think we were cool, think about us in a unique way, and set us apart from the rest…I was determined to put on a really cool event, and I wasn’t going to drop it. So my brother Jared and I started brainstorming. I had already done a thing called Urban Scavenger Hunt where we got a group of four friends together as a team and had to go downtown together to Salt Lake City and do all these crazy things and upload it to an app. It was a really fun day, and we had done other similar scavenger-hunt-type events, some more adventurous than others. Then there was the band Imagine Dragons. From our party throwing days, we had actually thrown a party for them…so we had become decent friends. They had done this cool thing where on the inside of their album cover—you know, if you actually had a physical CD—there were these random numbers written out. One guy Googled the numbers and figure out that they were co-ordinates to a particular spot just outside of Vegas. So he went there and found that the band had buried treasure; like, memorabilia they had signed, like backstage passes and stuff like that, and this guy got it just because he had the curiosity and the determination to figure it out. So we took all these ideas and combined it into our own; that’s Adventure Hunt. I was like, “I’m going to bury adventure gear—stuff that people want, like sunglasses, GoPro stuff, Stance socks, GoScope, MissionBelt (who all donated stuff)—and I flew around the country and I just buried treasure chests all over the place. We came up with a bunch of fun challenges people had to complete to win. Every Saturday we released the list. Everything you did had to be documented and uploaded to social media, and you had to own a pair of KZ sunglasses to participate…Right away we had thousands of people doing it. #AdventureHunt was trending on Instagram every Saturday for five straight weeks and sales tripled immediately. 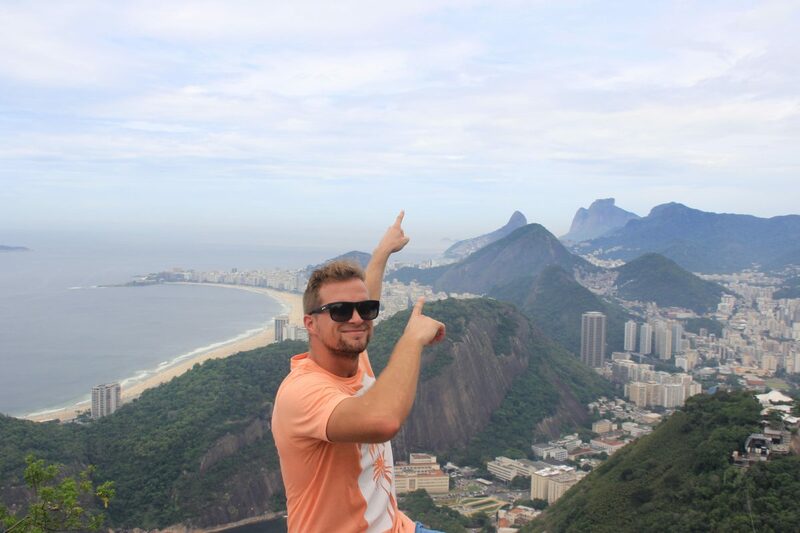 So we took the time to build a website, separate things out, sure up some really good sponsorships—like Red Frog Beach Island Resort in Panama who gave a free week’s stay at one of their luxury villas to every winning team—and we launched in 15 more cities…that time around we had ten times better the outcome. Where do you hope to see these companies 5 years from now? The beauty is that KZ and Adventure Hunt work hand in hand. But the goal for KZ over the next few years is to keep growing it and building it and to keep expanding our product lines—like, we’ve looked into backpacks and things like that. We want to become more of a household name in the space of lifestyle brands for adventurous, active people, but always at an affordable price. With Adventure Hunt, I want this thing to be global…We’re going to launch in about 50 more cities, and we have plans to go international pretty soon. Red Frog even has the entire resort booked off for us in September of next year. The response has been so overwhelmingly positive—we even had one couple from San Diego who were just dating when they came to Panama, and told us the event brought them even closer together, and now they’re engaged—the response has been so positive from so many people, I think it will get there. What’s your motto or your words to live by – either professionally or personally? What advice would you pass along? Technically this is Nike’s, but just do it. I have people ask me, “Hey, how did you do all this stuff? You started this company and it went, you started this company and it went…you do KZ, you do Adventure Hunt, you’re always traveling, you have your podcast, how do you have time for all this?” Honestly, you just have to do it. People want to plan, plan, plan, then they want to think, and then they want to worry, and then they want to analyze. You just have to do it. The second I saw that opportunity for Adventure Hunt—the second it dawned on me that it was an opportunity in and of itself, I didn’t hesitate, I just acted. Immediately. We built the website, I bought the domain—I actually bought the domain name that day that I had the phone call with my brother. Maybe it’s lame to steal Nike’s motto, but just do it. Just start acting. You’re never going to know everything, and there’s going to be a ton of trial and error…I always used to joke when we would make financial mistakes, “Well that’s just tuition. We didn’t get our Master’s Degree, so that was just a tuition payment.” There’s always a way and you just gotta find that way. Just move forward with confidence in yourself. Just do it. You know, another great story of a guy that went to college, got a good degree and could not find work worth doing to make a living. I hate that. At least he was able to turn it around. Making barely anything to live on forces you to take other avenues. This guy had an idea and ran with it. Pretty fast I might add. I am going to check his glasses out! This is a really thorough interview! Thank you for it! Man it would be so nice to have the money and the time to enjoy life with a service like this!